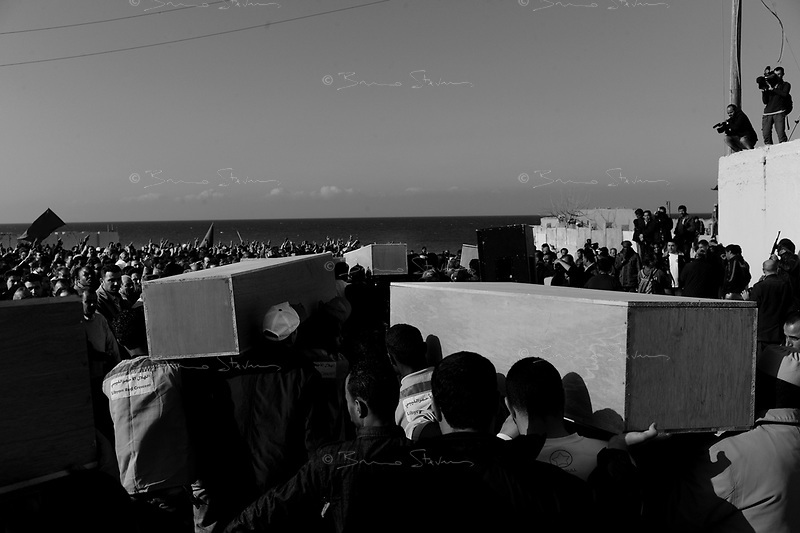 Tripoli, Libya, March 24, 2011.In this image taken during an organized trip by the Libyan authorities, men gather at a mass funeral for people killed in Coalition bombings, officials said. The cause of deaths as well as victims identities could not be verified. French fighter jets struck an air base deep inside Libya Thursday.